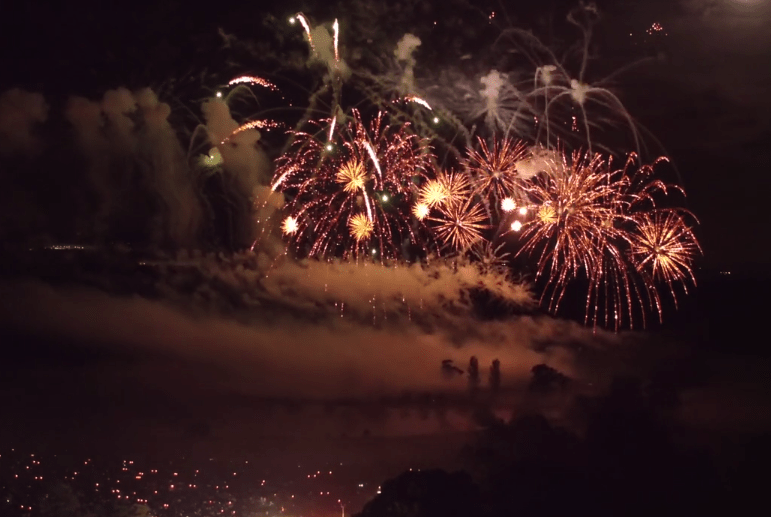 A local firm have smashed expectations by coming away with a top industry award for a stunning fireworks extravaganza. 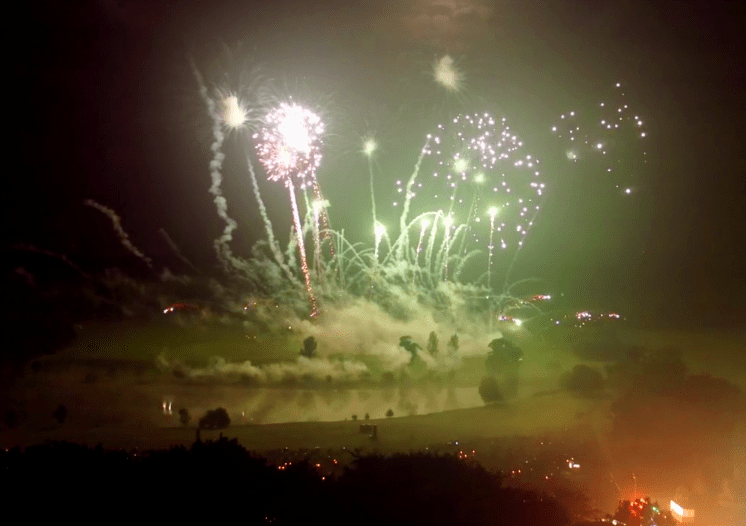 Salford-born Jason Graham and his team at Atom Fireworks wowed crowds of over 2,500 with a dazzling display at Ragley Hall stately home in Warwickshire to take the popular vote and win the crown of Fireworks Champions 2016. 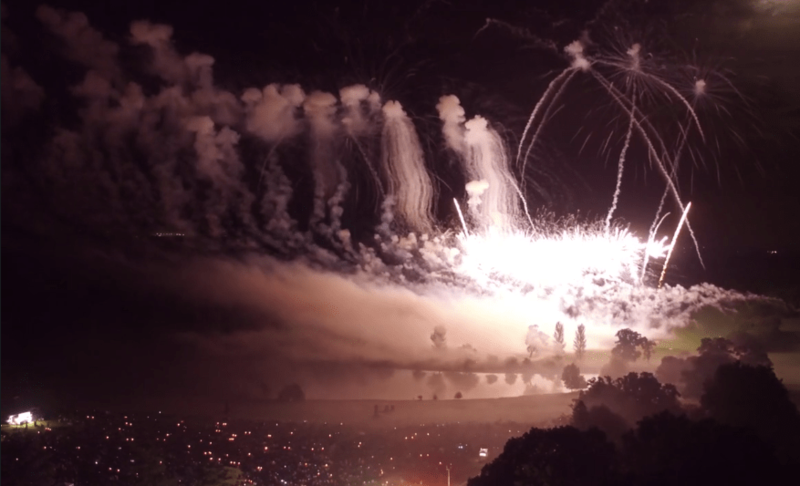 Three of the UK’s best firework companies competed with each setting off 10 minutes of pyrotechnics choreographed to music. And despite firing first – normally deadly in terms of competition – Atom took the top spot, booming out classical and pop hits before spraying the sky with everything from blood-red shells to eerie green roman candles. It was rated an emotional, moving display that even moved some of their audience to tears. Incredibly this was Atom’s first ever competition. So how did they do it? Jason was a pupil at Lightoaks Primary School and Hope High School (later Oasis Academy) before going on to learn bricklaying at college. Now his full-time job is a streetworks inspector for United Utilities. But fireworks have always been his passion since he was a young boy. “Growing up off Lancaster Road in Salford we always had fireworks in the garden. Atom was born in Irlams o’th Height 2008, starting off doing smaller shows at local cricket and golf clubs, steadily growing in reputation. Jason’s ambition is one day to perform to his home crowd in Salford. After working for a number of different display acts as show manager he’s now steadily growing his business and reputation to the point where he and his pyrotechnics experts can take on the biggest contracts going. In terms of heroes, Jason says he always looked up to the Reverend Ron Lancaster, a professor and scientist known as the ‘Master Blaster Pastor’. 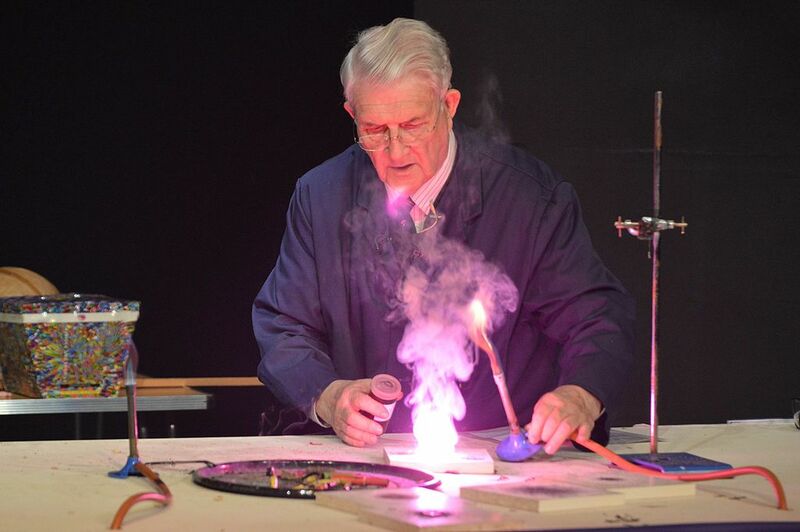 While a chemistry teacher at Kimbolton school in Huddersfield he started out doing small fireworks displays in the school grounds, later setting up Kimbolton Fireworks. Rev Lancaster was made MBE in 1993 for services to the fireworks industry. Jason needed an edge. Something different to set Atom apart. So he started looking at the intersection between colour, music and emotion. And it was psychologists who led him to victory. The Atom show itself opens with ‘Also sprach Zarathustra’ by Richard Strauss; better known as the opening music from Stanley Kubrik’s 1968 sci-fi epic 2001. Lights bubble over the horizon as 2,700 people watch on, spellbound. “We actually opened the night, firing first. That was challenging because after the audience have seen yours, they’ve got two more fantastic displays to watch. “It does happen that the team going first wins the competition, but it’s rare. “Sometimes you watch displays linked to music and you get the hairs standing up on the back of your neck, or a really heightened emotional feeling. I thought there must be a connection between colour and music. “So I looked online for studies to prove the theory and while there was nothing conclusive there was one article on colour psychology. The authors explained that my thinking was wrong – colours don’t create emotions, they enhance it – if you set an initial emotion you can use colours to amplify that feeling. “For example if you show someone a red rose, or a heart, and ask people how they feel, they’ll normally respond that it makes them feel good. “But if you show them a red warning sign the emotion is reversed. It’s the same colour, but depending on the context it’s in, the emotion can change. “In the day at Ragley Hall we did a little tester to ask the audience if they felt any connection to the display and the audience all said the same thing. It was at the point where Michael Jackson’s Earth Song came in, that moved them to tears. So for this display we started them with Fleur East’s Sax using mixed yellows and greens – more natural colours that make you feel happy, and then crescendo straight into Michael Jackson, backing it up with deep reds. “The first building block is going on to the site for an assessment, to see what trees will be in your way and what angles you’ll have to hit so the whole audience can see right throughout. 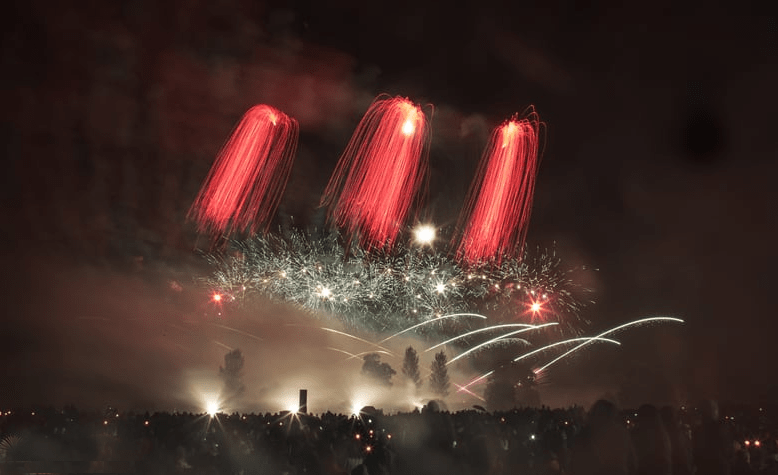 “At Ragley Hall we set our ground effects 100m in front of the actual display and 2.5m above ground so they could be seen – there’s a lake in front and there’s always be a natural barrier of some kind for fireworks shows. Jason does it a little differently, of course. Fireworks louder than 120 decibels or that scatter debris beyond a 20-metre range cannot be sold to the public. These range from Category 1 to Category 3. Atom use Category 4 fireworks – these are essentially professional explosives and definitely not for sale to the public. “A lot of what we do is learning about safety,” says Jason. “I should just say in case any Category 4 fireworks end up on the streets of Salford, and this advice could save somebody’s life: they’re designed to be triggered by electronics and will to blow up instantaneously with no fuse delay. “So if you were to get hold of one of these either by accident or illegally, then hold one in your hand and light it, the very best you can hope for is you will lose your hands, if you don’t kill yourself. “They don’t behave like normal fireworks. “I can’t stress this enough: they’re extremely dangerous; they will and have killed people who’ve used them incorrectly. “They don’t come in the fancy packaging you might find in your local store, usually it’s just very plain brown paper or black wrapping but they should always be labelled Category 4. “My advice to anybody who comes across a Category 4 firework: don’t set them off, don’t buy them. “Report it straightaway to your local police. “If there’s no label, somebody is trying to hide something from you and it could be deadly. Fireworks expert, or visual DJ? So is there someone standing behind this giant set-up with a lighter, setting fuses? “Compared to what you might find in your local shop, Category 4 fireworks are allowed a much higher percentage of flash powder – that’s what makes the ‘bang’. The biggest shells can fire some 200ft into the air, spraying colour and light visible over half a mile away. But it’s all computer controlled – and each is set off by timed electronics. “We write a programme on the computer when we’re preparing the show weeks or months in advance. “The laptop controls a load of boxes out in the field – that tells it our ‘cue points’, so at this time linked to this part of the music we want this firework to go off. That sounds like you’re effectively a visual fireworks DJ? “I’ve not heard it put like that before, but that’s about right. 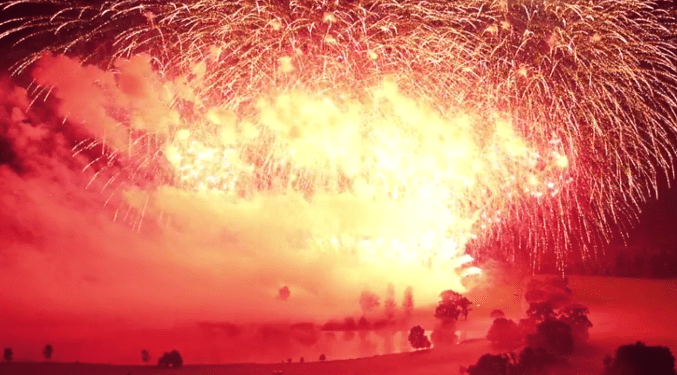 “You have to know a vast range of pyrotechnics that’s available to you. You have to know what music will match your display and how to time it. “If there’s anyone reading this, and they think, well that looks fun, there are training courses that anybody can go and do. The British Pyrotechnics Association Levels 1 and 2 allow you to become ‘persons with special knowledge’. Atom Fireworks (team 1) – Ragley Hall Firework Champions 2016 from Firework Champions on Vimeo. “It’s around £150 for a few days and you get to let off Category 4 fireworks in controlled environments. For anyone interested in the industry that is a good first step. “At the moment the business is part time, but as the November season rolls around we’ve always got more work offers than we can complete, so we’re certainly coming to the stage where we’d be interested to talk to people with an interest in fireworks. You can see Jason’s next extravaganza when he works with PDC Fireworks at the British Musical Fireworks Championships in Southport on 1 October. The event runs from 30 September to 2 October and is the first of its kind in the country.